A recent modern design sale at Rago Auctions in Lambertville featured more than 40 pieces by Delaware Valley Modernists George Nakashima, Paul Evans, Phil Powell and Wharton Esherick. It was part of a 1,164-lot auction series held Jan. 19-20 that brought in a total of $4.8 million. 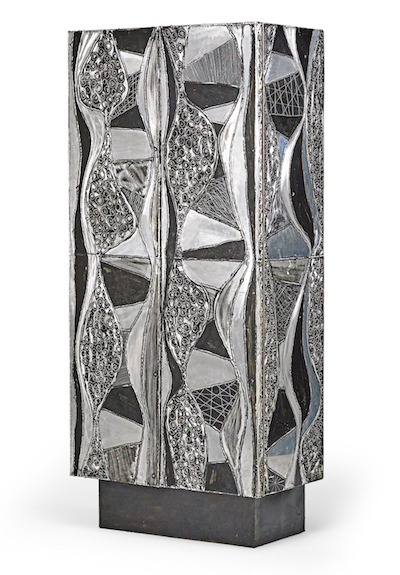 The top lot of the modern design session session was a rare Argente cabinet by Paul Evans, which sold for $62,500. 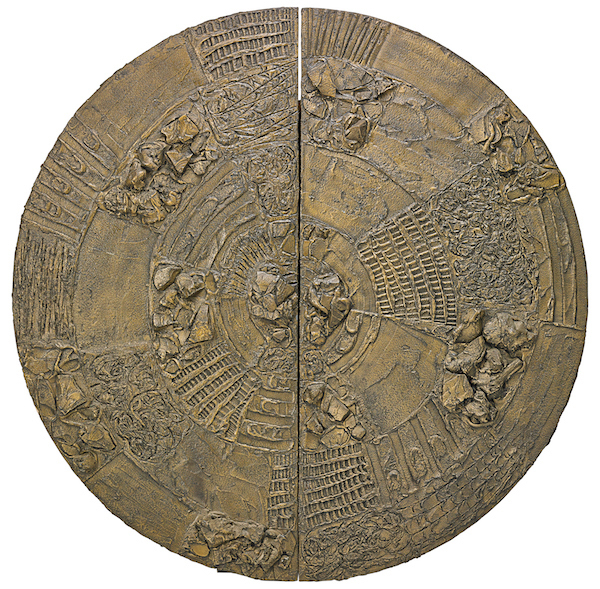 A sculptured metal disk bar, also by Evans, sold for $43,750. 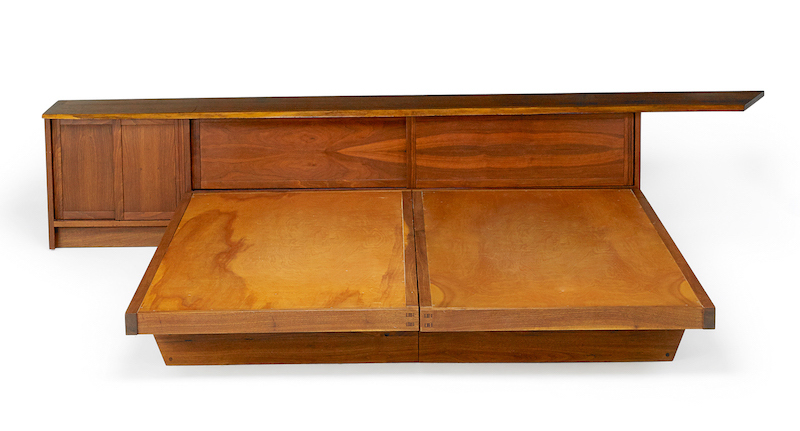 A Conoid headboard and platform bed by the legendary George Nakashima sold for $43,750. 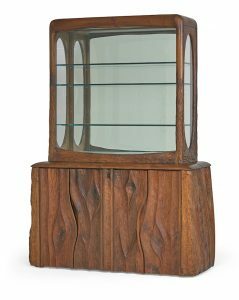 And also among the offerings by Delaware Valley Modernists was an exceptional bench-made, two-piece display cabinet with illuminated vitrine made by Phil Powell in New Hope. 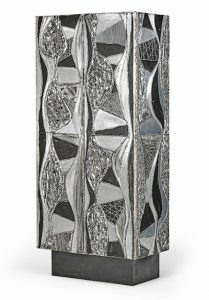 That piece fetched $40,325 against a high estimate of $30,000. 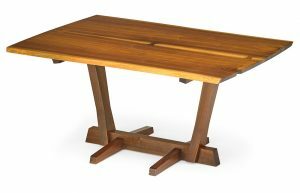 In the Lost City Arts session of the weekend series, a George Nakashima conoid dining table sold for $15,000. 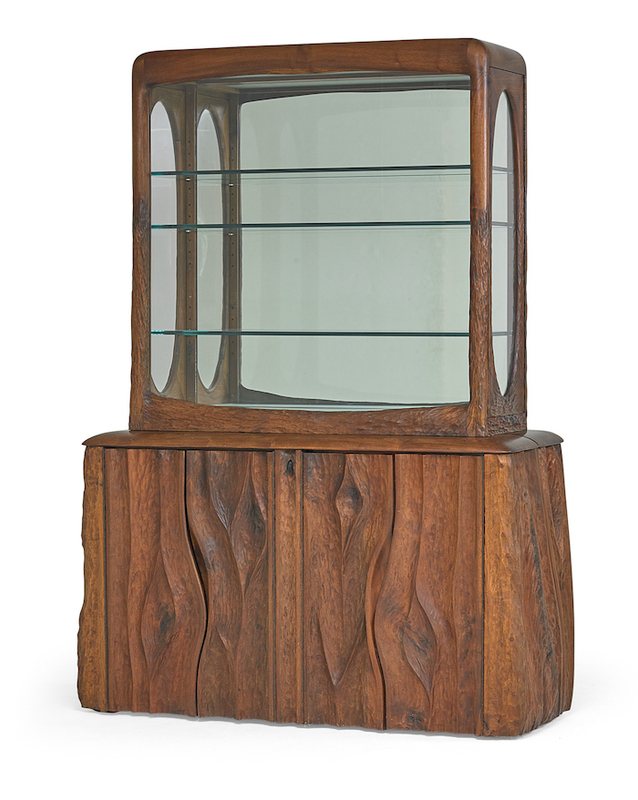 Rago, at 333 N. Main St. in Lambertville, is a leading U.S. auction house with $33 million in annual sales.